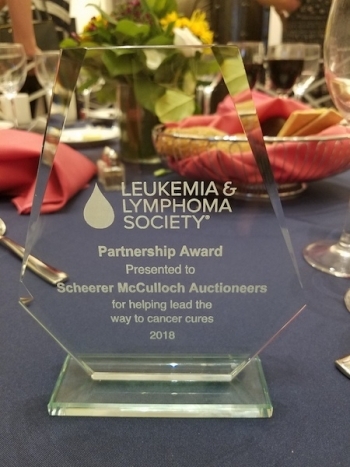 Scheerer McCulloch Auctioneers received the 2018 Leukemia & Lymphoma Society Partnership Award! Over the last 10 years, we have helped to raise millions for this cause in Fort Wayne, Indianapolis, Chicago and Dayton. We are grateful to know our work on behalf of Leukemia & Lymphoma Society has earned us such an honor.